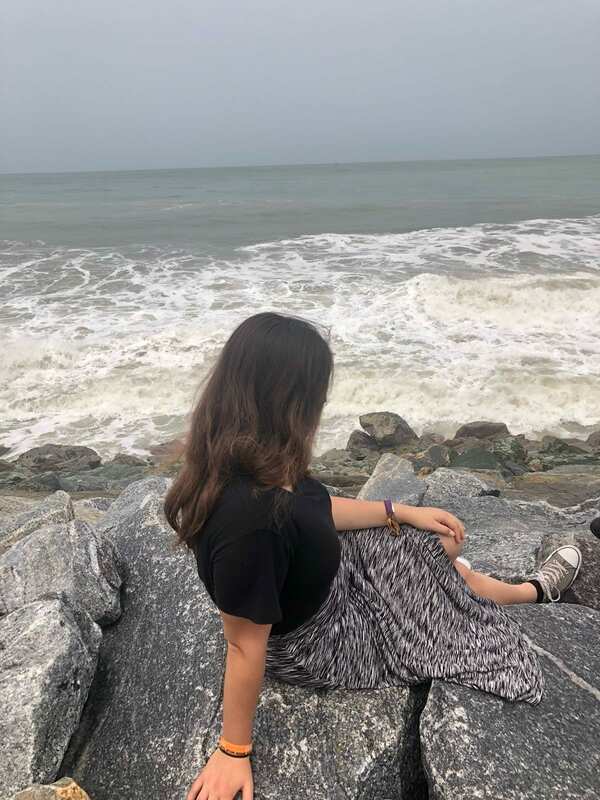 Bahar Tuncan at Cape Coast, Ghana, with AFS Global Prep in summer 2018. The California Central Coast Area Team of AFS Intercultural Programs is pleased to announce that Justine Tuncan, a Valencia High School junior, has become the team’s newest registered volunteer. As an official volunteer of AFS Intercultural Programs, she will support Valencia High School students in learning more about studying abroad with AFS or hosting an AFS exchange student. She also will provide support to AFS exchange students from other countries who call Valencia High School “home” for a semester or academic year. Currently, Valencia High School is home to four AFS students from Norway, Germany, South Africa and Gaza. Tuncan has been involved with AFS since 2017. The summer after her freshman year, she attended the AFS Global Prep intercultural learning program at the University of California at San Diego. Then, the summer after her sophomore year, she spent two weeks in Ghana, West Africa with AFS. She has been a host sibling to three AFS students from Italy, Latvia and South Africa. To become a volunteer with AFS, interested individuals must complete an online application, provide references, participate in an interview, and complete an online volunteer orientation. Individuals over the age of 18 also must pass a background check. There is no minimum age limit to become an AFS volunteer, but all volunteers must be registered. Registration must be renewed annually to comply with U.S. Department of State requirements. The California Central Coast Area Team now consists of 40 registered volunteers from the Santa Clarita Valley, Ventura County and San Luis Obispo County. The team is now seeking students from these local communities between the ages of 13-18 who are interested in going abroad for durations between two weeks and 10 months, and families who are interested in hosting an exchange student for an academic semester or year. New AFS students will be arriving in the area in August 2019. AFS-USA is a 501(c)(3) non-profit organization headquartered in New York City. It has been a leader in international education for more than 70 years.